Guru Gobind Singh Jayanti is observed all around the world today (January 13) by the Sikh community as the birthday of their tenth and last spiritual guru Guru Gobind Singh (1666-1708 C.E.). The saint was the founder of the Khalsa warrior community and is popularly known as the Warrior Saint. He is also fondly remembered as a poet and philosopher. This day witnesses large processions and special prayer gatherings at Gurudwaras across the country. 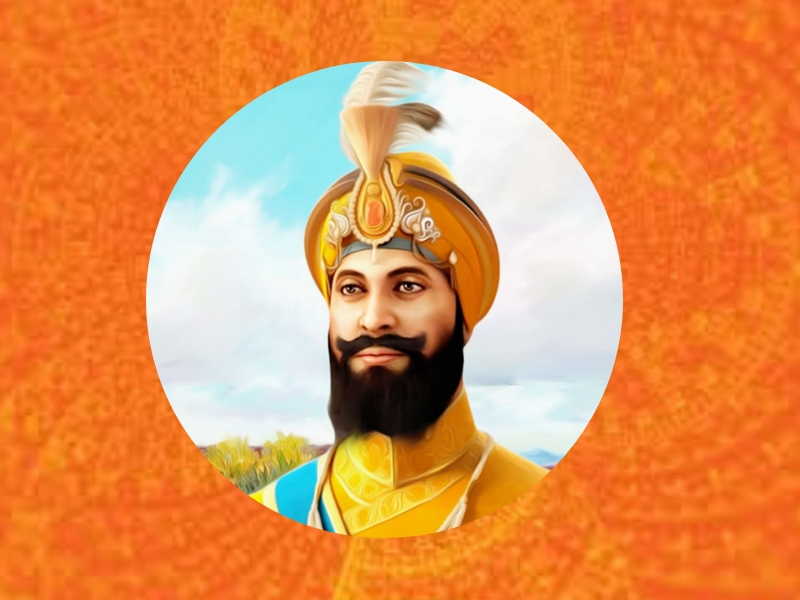 On this occasion of 352nd birth anniversary of Guru Gobind Singh, we bring to you some interesting facts about him. Guru Gobind Singh Ji was born on December 22, 1666, as Gobind Rai in Patna, Bihar in the Sodhi Khatri family. His birthday usually falls in December or January or also twice a year. This is because his birthday is calculated according to Hindu Bikrami calendar that is based on the lunar calendar. He was the only son of Guru Tegh Bahadur, the ninth Sikh guru, and Mata Gujri. Gobind Singh Ji’s father was publicly beheaded in Delhi on November 11, 1675 under the instructions of the then Mughal ruler Aurangzeb for refusing to convert to Islam. After his father’s martyrdom, Guru Gobind Singh Ji became the 10th Sikh Guru on March 29, 1676 at the age of nine. Guru Gobind Singh Ji’s education continued even after he became the guru, that included reading, writing, martial arts, horse riding and archery. Guru Gobind Singh Ji had three wives. When he was 10, he married Mata Jito on June 21, 1677; at the age of 17, he married Mata Sundari on April 4, 1684 and at age 33 he married Mata Sahib Devan on April 15, 1700. Unfortunately his four sons died during his lifetime – two in battle, and two were executed by the Mughal army. Guru Gobind Singh gained great stature as both saint and soldier. He was also an intellectual and wrote many powerful spiritual compositions that infused a martial spirit in the people. He founded the Sikh warrior community called Khalsa in 1699. He created and initiated the Khalsa as a warrior with a duty to protect the innocent from any form of religious persecution. Guru Gobind Singh Ji initiated the Five K’s tradition of the Khalsa. This includes Kesh: uncut hair, Kangha: a wooden comb, Kara: an iron or steel bracelet worn on the wrist, Kirpan: a sword or dagger, Kacchera: short breeches. He enshrined the scripture Guru Granth Sahib as Sikhism’s eternal Guru. He instructed the Sikhs to regard the Guru Granth Sahib as their teacher. Since then, the Guru Granth Sahib is regarded as the perpetual guru of the Sikhs.